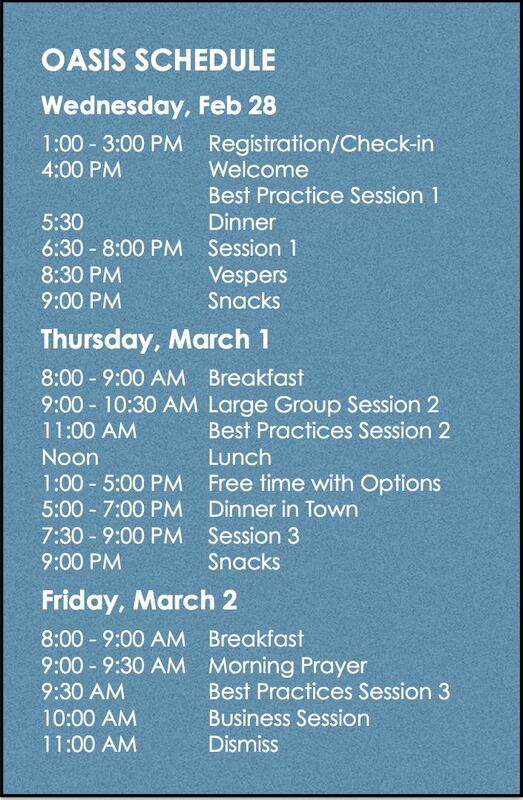 If you plan to share a room with another participant, use the option to register and pay the full amount due. Don't have a roommate in mind? No problem, we can help coordinate roommates. If you want a single (not shared) room, use this option to register and pay the full amount due. 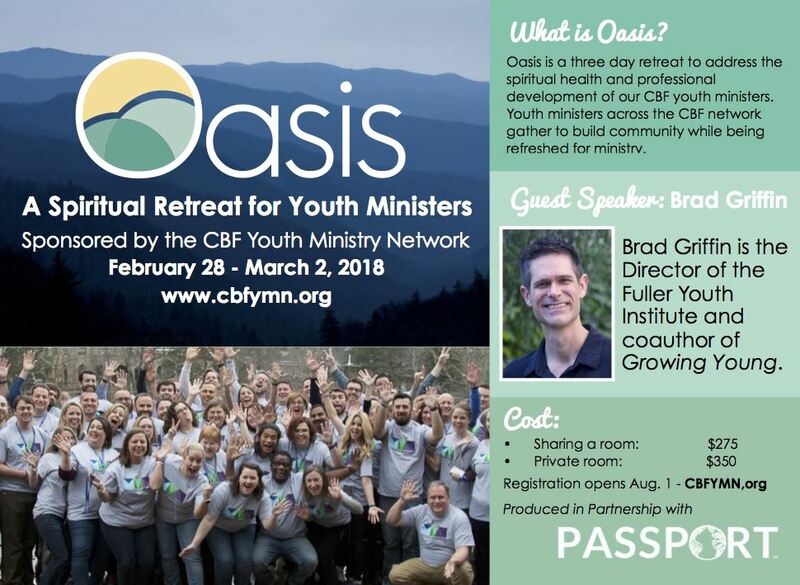 Oasis is designed to be an event to address the spiritual health and professional development of our CBF youth ministers. We strongly believe we minister more effectively when we are in good spiritual health. Brad Griffin is the Director of the Fuller Youth Institute and coauthor of "Growing Young." Registration Closed - if you have a question about the retreat, contact cbfyouthministrynetwork@gmail.com...we might be able to squeeze you in!